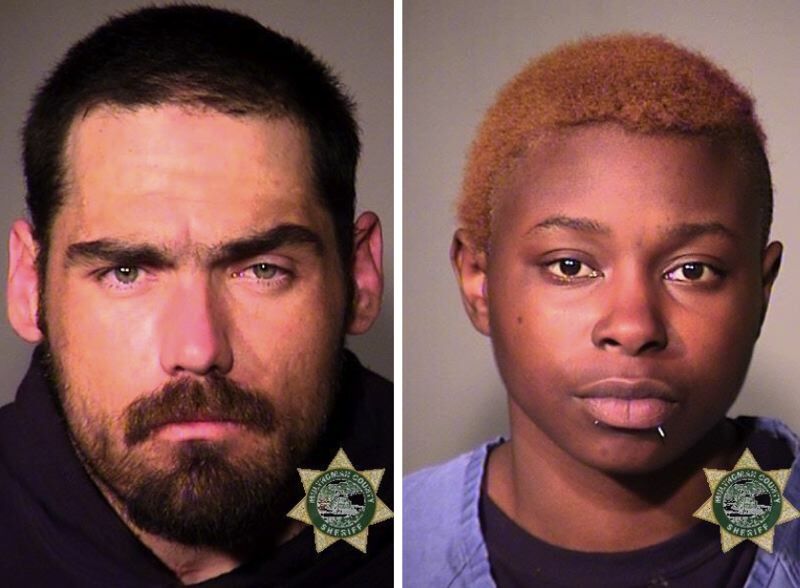 Richell Propps, Vanbueren Dormaier charged after allegedly stealing cars in Portland. A man and a woman have been arrested after Portland police say they stole multiple cars during an alleged attempted flight from police. The incident began Friday, April 12 around 6:23 a.m., when East Precinct officers responded to the 14800 block of Southeast Stark Street on a report of "suspicious circumstances." A 9-1-1 caller told police he saw a person steal his Honda Civic. Responding officers attempted to stop the vehicle to no avail. "Officers did not pursue," according to a news release. "Numerous officers responded to assist." Police say spike strips deflated at least two of the car's tires, but the vehicle did not stop and soon traveled into a nearby apartment building parking lot. Police claim the male driver and female passenger ran from the partially-disabled Civic and hopped into another vehicle, a Nissan pick-up, which was also apparently stolen. "Officers challenged them, but they did not comply with the officers' lawful commands," police say. The Nissan collided with three vehicles parked in the building's lot — and two squard cars — during the escape. No injuries were reported. Shortly thereafter, another 9-1-1 caller reported a recklessly driven pick-up near Southeast 119th Avenue and Ash Street. When police arrived, they say they found the stolen Nissan abandoned nearby. Police say two suspects were arrested. One police car was towed from the apartment lot scene, and police say the stolen vehicles will be returned to their rightful owners. Vanbueren Alexander Dormaier, 32, faces numerous charges — including unlawful use and entry into a motor vehicle, possession of a stolen vehicle, attempt to ellude on foot and by vehicle, six counts of property damage, attempted assault on an officer, interfering with police, reckless endangering and first-degree criminal mischief. Dormaier remains in the downtown jail at this time. He was charged with car theft related crimes two months ago and on four separate occasions in 2018, according to court records. Richell Leeann Propps, 27, the alleged passenger in this incident, is charged with unlawful use, entry and possession of a motor vehicle and interfering with police. She was released from jail on April 12. She was charged with third-degree theft in November, according to court records.